Got a hot tip on a new outdoor place from a friend so we decided to check it out today. 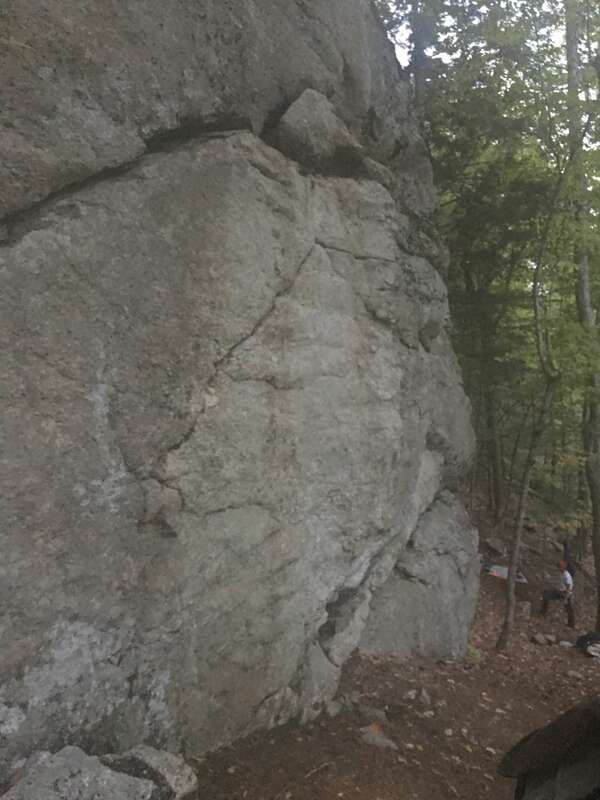 This place had no name, a single bolted route rated a 5.9+ and a whole bunch of top rope-able stuff. The only downside is that neither of us can climb beyond the first bolt on an outside 5.9 and we arrived too late to set up anchors. We ended up messing around a bit before giving up for another day. Its twenty minutes north of Portland and a 15 minute flat walk approach. Great to know this ledge is nearby.